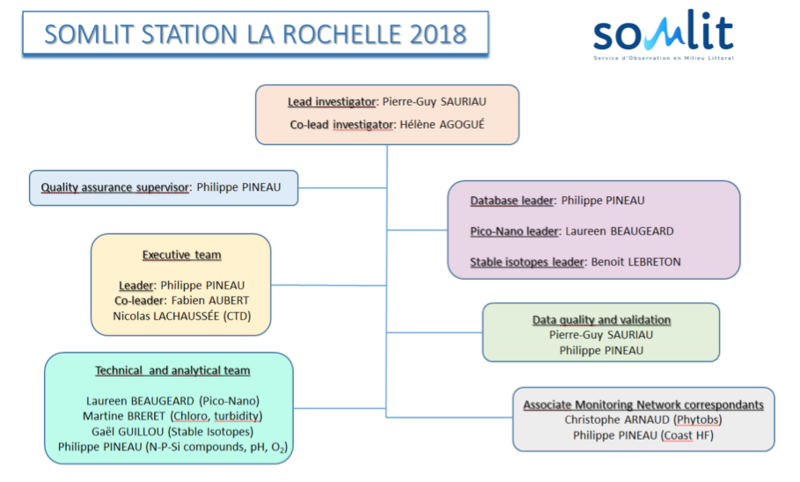 SOMLIT, the French Coastal Monitoring Network, was created in 1996 and is supported by the CNRS-INSU Institute. 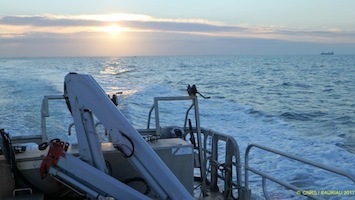 Ten marine stations and/or laboratories along the French coastline from Wimereux (English Channel), Brest (Atlantic) to Marseille (Mediterranean Sea) are nowadays involved. All of them follow standardized sampling and analytical protocols. 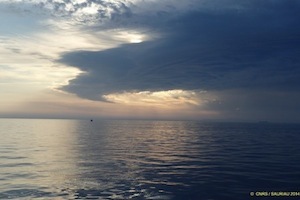 The overall goal of the SOMLIT monitoring network is to assess long-term changes in coastal systems and to discriminate climatic forcing from local anthropogenic ones. Physical, chemical, biogeochemical, and biological parameters are monitored. Annual inter-comparison exercises between all SOMLIT and Ifremer teams. All data are public and freely available through requests from the SOMLIT web site. The marine laboratory LIENSs was integrated within the SOMLIT network in 2012 following a 6-month period of development since June 2011. 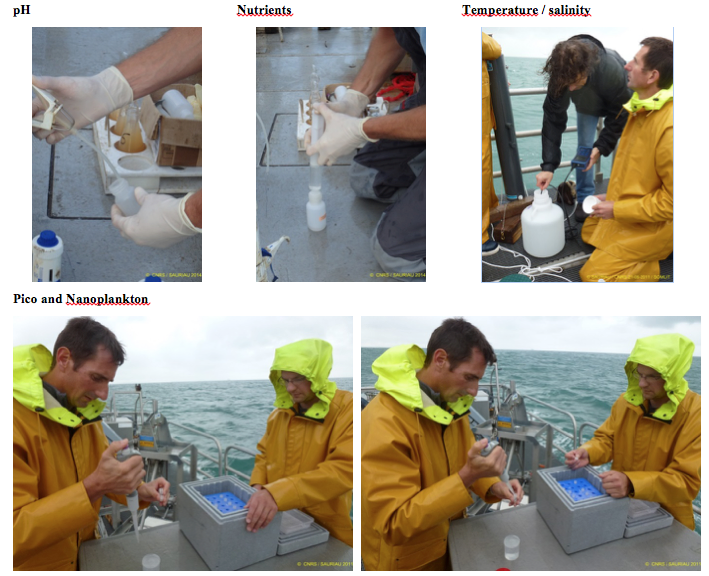 Our sampling station ’Antioche’ is located within the Pertuis d’Antioche at 5 nautical miles from the harbour of Chef de Baie (La Rochelle). This is a macrotidal site (depth 40 m, tidal range 6.5 m) not directly impacted by both local river estuarine plumes (Lay, Sèvre and Charente rivers) and human activities (oyster and mussel farming, fishing grounds, dredging activities). Hydrological features are mainly characterized by oceanic influence but both Loire and Gironde plumes may interact during wintertime. 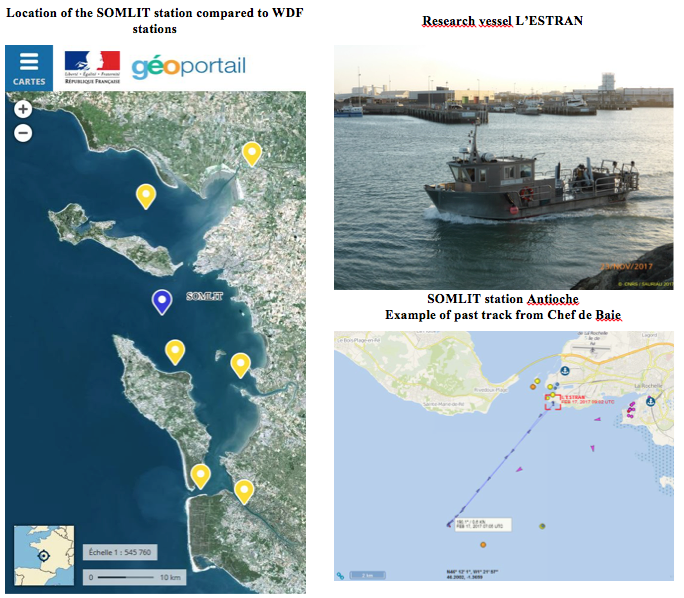 The geographic location of the SOMLIT station was chosen to provide additional oceanic information compared of hydrological coastal stations involved in WDF (Water Directive Framework) networks. 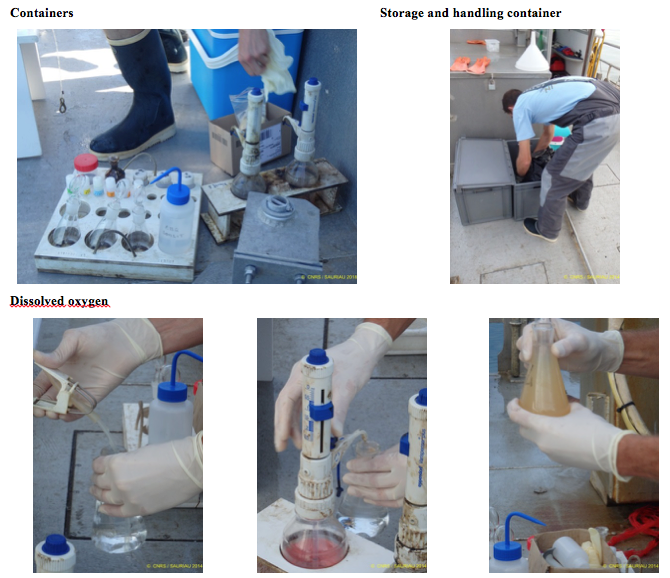 Water samples are collected at high tide during period of low spring tides (tidal coefficient 70 ± 10) using facilities of the vessel L’ESTRAN from La Rochelle University. 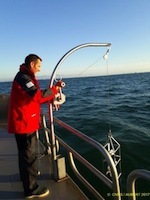 Near surface marine water samples are collected by Niskin sampler ; vertical profil by a Seabird SBE 19plus CTD and qualitative phytoplankton data by a 10 µm mesh plankton net. 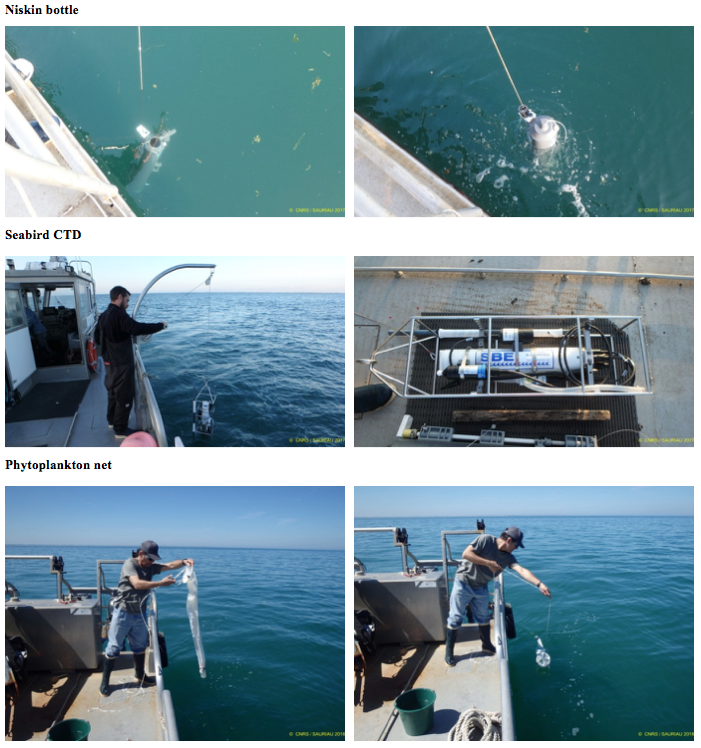 Marine water samples are poured into clean small glass and/or PET containers specificaly designed for O2, pH, nutrients, pico-nano plankton analyses.